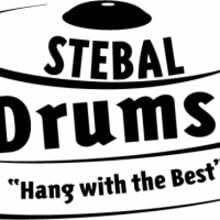 Stebal Drums is a Five Star Drumshop (est 1996) Our Staff has over 100 years of professional gigging experience (all styles) along with selling, fixing & maintaining drums. Returns are accepted within 7 days of purchase with proper RMA. Once return is approved, RMA is issued from Stebal Drums. (contact Stebal Drums via phone or email) Buyer is responsible for all costs incurred in the return of the item. Shipping charges paid by buyer on original shipment are not refundable.